Thousands will line up to audition. Twenty-four will get to the stage. And in the end, only eight will win the chance to dance. North Shore Music Theatre in Beverly continues its 2010 season with Broadway’s singular sensation, "A Chorus Line," from November 2 - 21. "A Chorus Line" is the ultimate celebration of the American Musical as audiences share in the backstage story of 17 dancers competing for a coveted spot in the chorus of a Broadway show. Through the audition process, they bare their souls while sharing stories of their childhood, ambitions and fears. This groundbreaking Pulitzer Prize-winning musical is for anyone who has ever put it all on the line, whether for a promotion, attention, approval, or love. Conceived and originally choreographed and directed by Michael Bennett, “A Chorus Line" features a book by James Kirkwood and Nicholas Dante, music by Marvin Hamlisch and lyrics by Edward Kleban. For this new production, Mark Martino re-stages the original direction and choreography. NSMT’s owner and producer, Bill Hanney, commented, “'A Chorus Line'" is one of the best musicals ever, and a personal favorite of mine. It is the perfect way to conclude our 2010 subscription season. 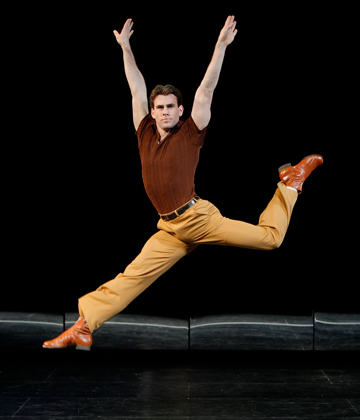 Our unique production in the round will draw audiences right into the stories of the these talented dancers." The original production of "A Chorus Line" opened in New York at the Public Theater’s Newman Theatre on May 21, 1975, and transferred to Broadway's Shubert Theatre on July 25. It would go on to win the Pulitzer Prize for Drama, nine Tony Awards, including Best Musical, Score and Book, and the New York Drama Critics Circle Award. It ran for nearly 15 years, closing on April 28, 1990, after 6,137 performances. "A Chorus Line" remains the longest-running American musical in Broadway history. For tickets and information, stop by the box office at 62 Dunham Road in Beverly, call 978-232-7200 or visit www.nsmt.org.